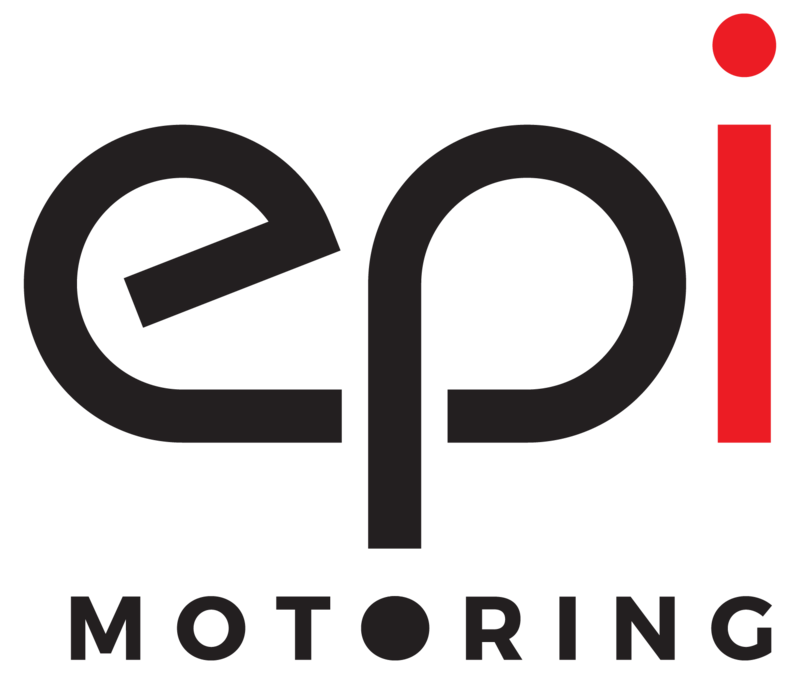 All orders placed with EPI by (phone, mail, internet/web & e-mail) constitute the acknowledgment and acceptance of all conditions listed on EPIMOTORING.COM Price List and all conditions listed below. All parts shall remain the property of EPI until paid in full. In the event that our computer server/database encounters technical difficulties, which may cause problems with our product pricing or shipping calculations, EPI will correct all discrepancies at the time of processing. Customers will be notified of any errors and will have the option to continue with their order with corrected totals or cancel their order. EPI will not be held responsible for any miscalculated totals due to errors. All orders sold to a California Address must pay 9% California Sales Tax. The California State Board of Equalization requires this. In the event an order placed on the web does not calculate sales tax and the order is being shipped to a California Address, EPI will calculate the sales tax when the order is processed. In the event sales tax is calculated incorrectly EPI will calculate the correct rate for you. There will be no notification made regarding the adjustment of the total amount of the order reflecting sales tax or corrected sales tax. EPI accepts the following payment methods through our secure online website and in-store. International Orders: Bank wire transfer only. We may require extra identification for Credit Card/PayPal orders from the cardholder to complete your transaction. This is to protect you and EPI from any unauthorized orders or fraudulent transactions. Orders are normally shipped via UPS, Truck Freight. We do our best to accurately estimate when items will ship from our facilities. Estimated shipping dates are based on several factors, including your destination address and how quickly we can obtain and assemble items for shipment. EPI packs all merchandise carefully to prevent damage during shipments. Nevertheless, damage may occasionally occur in transit. Please inspect your package(s) immediately prior to accepting delivery. Damages and evidence of tampering must be reported to EPI and to the shipping carrier immediately. It is extremely important that the contents of the shipment be thoroughly inspected upon receipt for the shipping damage. If damage is observed and found, simply refuse the package due to the damage. We realize that returns and exchanges are a part of purchasing process and we do our best to make it as easy as possible. If you are not 100% satisfied with your purchase, you can return your order to EPI within 30 DAYS. Returns must be unused, in its original packaging, and in a state of brand new condition. Special order, Clearance, and Used items are excluded. A 25% restocking fee may be applied and shipping costs are excluded. Once your return is received and inspected (usually within 72 hours of receipt), your store credit will be processed. Please note as part of our 30-day return policy, all returns will need to be received within 30 days of the purchase date. If we receive your return item(s) within 14 days of purchase date, you may request a refund in the form of the original payment. An RMA number must accompany all returns. Refunds: EPI refunds will be issued in the same manner it was paid. (Cashier checks & money order will be refunded via EPI company check) Please allow 7-15 business days for checks to be processed. Returned item(s) will only be accepted if the item(s) are unused and returned to EPI within 30 days of the purchase date. Items returned without an RMA number or using an expired RMA number will be refused. Note: Separate RMA numbers should be obtained for different orders. In the case of an error, please call 626-695-0525 within 2 days of receiving the item for exchange. Please call our Customer Service at 626-695-0525 to cancel an order. EPIMOTORING.COM processes your order electronically therefore your order may be processed when you ‘complete purchase’. Please contact us immediately at 626-695-0525 if you wish change or cancel your order. We will make every effort to stop the processing of your order. Due to the cost of processing refunds, there will be a 5% cancellation fee on all orders placed but cancelled prior to shipping. This does not apply to exchanges or returns. An EPI customer service representative must confirm your order if it has not shipped from our warehouse or the manufacturer. Once confirmed, you will be issued a credit or refund minus cancellation fees within 7-15 business days. Orders already shipped from our warehouse or the manufacturer cannot be cancelled. Special order items or custom order items are items, which we do not normally stock and cannot be cancelled/returned or exchanged. NO EXCEPTIONS. All special orders and custom orders will be processed in the most timely and efficient manner possible; however, EPI will not be held responsible for delays above and beyond its control. Any refused shipments sent back to EPI does not constitute the right to a refund or credit. It is the customer’s responsibility to make all arrangements with EPI for refused shipments. EPI will charge the customer all freight charges associated with the shipment. All used parts are sold AS-IS, no refunds or exchanges. No warranty whatsoever will be valid if the defect was caused by customers abuse, negligence, or mishandling. All merchandise sold by EPI is only subject to manufacturers warranty and conditions, if any, and is subject to submission to the manufacturer for inspection and approval for repair or replacement of merchandise. Customer, however, will be responsible for all shipping and handling fees. No labor or inconvenience may be included in any warranty claims. There is no warranty on lights, light bulbs, decals, electrical parts, and engine parts. All products sold by EPI, unless otherwise stated in the item description, are sold ‘AS-IS’. All engine modification components, except those that are exempt by local laws, are intended for OFF-ROAD use only. These components are legal in California for racing vehicles only, which may never be used on public roads and highways. Federal and many state laws prohibit the removal, modification, or rendering inoperable of any device or element of design affecting vehicle emission or safety in a vehicle used on public highways. Violation of such laws may subject the owner or user to a fine or penalty. Installation of this part may void the warranty coverage, if any, on your vehicle. Vehicles modified by the use of performance parts may no longer be lawfully used on public highways. User assumes all cost and risks associated with these and other import items.